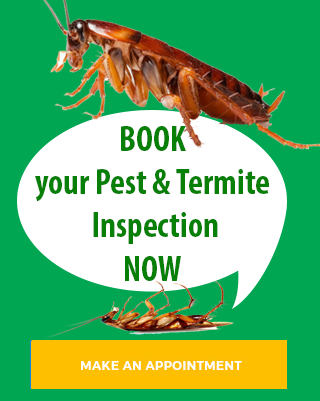 Evergreen Pest Management can eradicate all cockroach problems efficiently using the latest environmentally friendly pest control processes. We service all areas from the Gold Coast to Northern NSW including Burleigh Heads, Palm Beach, Elanora, Currumbin, Tullebudgera, Tugun, Bilinga, Kirra, Coolangatta, Tweed Heads, Banora Point, Terranora, Bilambil, Chinderah, Fingal Heads, Kingscliff, Cudgen, Salt, Pepper, Reef, Casuarina Beach, Duranbah, Tumbulgum, Condong, Eviron, Murwillumbah, Mooball, Burringbar, Uki, Bray Park, Clothiers Creek, Cabarita Beach / Bogangar, Hasting Point, Pottsville Beach, North & South Golden Beach, New Brighton, Ocean Shores, Brunswick Heads, Billinudgel, Mullumbimby, Byron Bay, Suffolk Park, Bangalow. If lice or eggs are found, the child’s hair should be treated. Head lice eggs are small (the size of a pinhead) and oval. A live egg will ‘pop’ when squashed between fingernails. -Egg is laid on hair shaft. Egg is called a ‘nit’. -Louse emerges after 6-7 days. -First moult 2 days after hatching. -Second moult 5 days after hatching. -Third moult 10 days after hatching. -Emerging from their third moult as adult lice, the female and slightly similar male begin to reproduce. -Female lays first egg 1 or 2 days after mating. -Female can lay approximately 3 to 8 eggs per day for the next 16 days. -Having lived 32 to 35 days the louse dies. Concentrate on the head – there is no evidence to suggest that you need to clean the house or classroom. Further information and resources are provided to help you detect, treat and manage headlice.